GREEN BAY — Eddie Lacy will practice, but Jared Abbrederis has been lost to a ribs injury for an extended period of time. “We’ll see how he is at practice,” Coach Mike McCarthy said of Lacy, who missed Sunday’s game due to a groin injury. McCarthy said Lacy would be the Packers’ No. 2 running back in Sunday’s game at Minnesota. Abbrederis sustained a ribs injury in Sunday’s loss to Detroit. The second-year receiver was making a move on increased playing time, but his season would seem to be in jeopardy now. 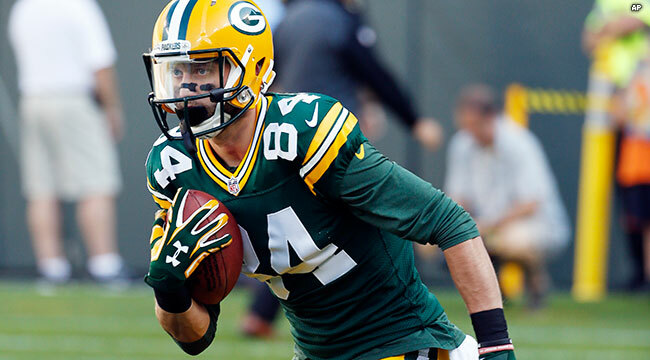 “Jared Abbrederis is going to be several weeks,” McCarthy said. “It’s year two of a program. They’re well coordinated. They’re playing faster, quicker. You can see it building. They have a big-time returner,” McCarthy said.